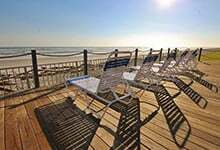 When you take a family vacation to New Smyrna Beach, Florida, you’re likely thinking “beach” and “sun” and “vacation rentals”. You’re thinking about the great things to do at New Smyrna Beach like swimming, sunbathing, kayaking, hiking, biking, and so much more. All that activity is, of course, going to make you hungry. Luckily, this Central Florida locale has more than its fair share of fine eating establishments. Check out any list of best New Smyrna Beach restaurants and you’re going to come across one that comes up time and again (and for good reason). Blackbeard’s Inn is definitely a place that you won’t want to miss on your next beach vacation. Maybe it’s the stand-out nautical decor, from porthole windows to the beautiful seafaring pictures to the various model ships set about the dining area. Maybe it’s the relaxed and family-friendly atmosphere. Maybe it’s the seafood and steak entrees, or the fresh salads and sauces made every day. With a history dating back nearly 40 years, when Harry and Mary Kinzey and their son and daughter-in-law first opened its doors, Blackbeard’s Inn has built a reputation for fresh food, top service, reasonable prices and a warm atmosphere. This applies to the employees and customers. There’s a reason some employees have been working at the restaurant for more than two decades and the regulars are enthusiastic and jovial. 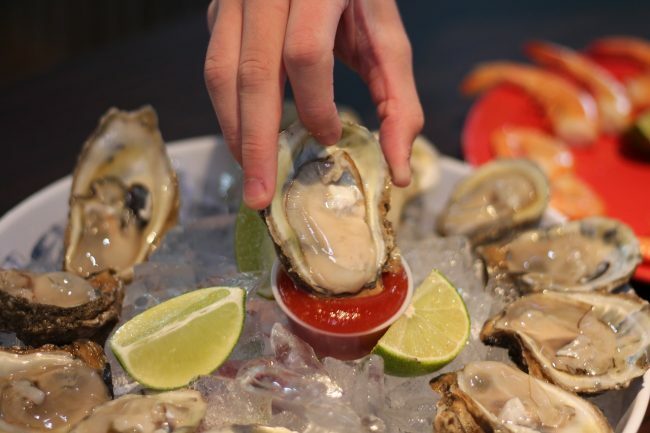 On top of that, Blackbeard’s proudly boasts of its raw bar of fresh shucked oyster and clams as being among the first raw bars in New Smyrna Beach. Let’s take a closer look at this staple of New Smyrna Beach. Chances are, you’re going to want to add this eatery to your list of places to eat. And you’ll even learn some pirate lingo! Set aside at least one lunch or dinner time while you vacation on New Smyrna Beach to treat yourself to the mouth-watering choices available at Blackbeard’s Inn. There’s no doubt you’ll find some edible treasures here. There’s something for everyone on this menu. Dig up some peel your own shrimp, broiled oysters on the half-shell and other stuffed seafood choices. Check out the coconut shrimp, fried clam strips, and other fried combination platters. Finally, visit the luxury end of the menu for some lobster tail from Caribbean waters or Alaskan snow crab. And for all ye landlubbers, grilled season chicken breast, filet mignon, baby back pork ribs, steak on a sword, smothered chicken au gratin, roast or cajun grilled prime rib, and a slew of others. Blackbeard’s Inn also maintains a soup and salad bar, in a day and age when many restaurants have foregone this wonderful feature. It’s NO small wonder that nearly 90% of TripAdvisor reviewers give Blackbeard’s Inn an “excellent” or “very good rating”. So don’t be a scallywag. 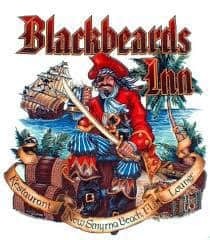 If ye’ve packed yer duffle (belongings) and come to vacation on New Smyrna Beach, leave yer vacation rental and get yer dungbie (rear end) over to Blackbeard’s Inn and enjoy its tasty lunch or dinner menu. If Blackbeard’s Inn is now on your list of places to visit on your family vacation and you want to stay nearby, you’re in luck: Great Ocean Condos are just seven minutes away! 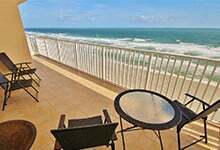 Call (386)-478-7863 to find out what New Smyrna Beach vacation condo rentals are waiting for you and your family.